The South West Coast Path Association have created 7 one-day circular walks around the Wilderness Coast of Exmoor. You can pick and choose from these itineraries and download the walk details from each walk page. 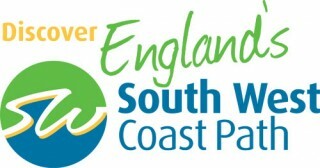 Visit the South West Coast Path website - all you need to enjoy one of the world’s best long distance walks. You can download the leaflet that gives the information shown on this website, to take with you. For further information specifically in Dutch and German, go to the Dutch website or to the German website by clicking these links. Accommodation: Accommodation is easier to find in the major villages and towns along the coast, such as Minehead, Porlock, Lynton & Lynmouth and Combe Martin, where there is a wide choice of hotels, guest houses and bed & breakfasts. Click this link for accommodation on this website. Food & drink: Fresh local produce is in abundance on Exmoor, including Porlock Oysters, freshly caught trout and venison. Local farm shops and delis are useful for picking up fresh produce and treats. There are many fine restaurants, gastro pubs and fish and chip shops throughout Exmoor. For beer drinkers there are some tasty local ales. Click this link for places to eat out promoted on this website. Transport: It really pays to have a car here. Getting to and from walks, villages and local attractions will be difficult and time-consuming without your own transport. There are limited bus services here, however, it is possible to pre-book a lift with local taxi services. For more travel information around Exmoor visit the Exmoor National Park Enjoying Travel website or go to this page to find out more about getting to Exmoor. For more information about the Discover England Fund Project, funded by Visit England visit www.southwestcoastpath.org.uyk/DEF.